What is obesity? Obesity is a state in which a person is excessively overweight. The WHO states that this is a state where the percentage of fat in a person’s body reaches unhealthy stages. So much so that it presents serious risk to one’s health. A person’s obesity is calculated using a scale called a BMI Index. You can find out your own BMI by dividing your weight in kilograms, by the square of your height in meters. Or just use an online calculator like we did. This is a general scale to weigh your BMI against. A BMI below 18.5 is underweight. A BMI from 18.5 to 24.9 is healthy. A BMI 25 to 29.9 is overweight. A BMI of 30 or higher is considered to be Obese. Just as a small disclaimer, this scale measures weight. So if you weight about 200 lbs of lean muscle and are 5 foot 6, you will probably have an Obese BMI, but not actually be Obese. Now that, that useful information is out of the way, obesity can effect people in three primary ways. As for the social effects of obesity, these are a little less commonly known to those who aren’t obese. But they bear a heavy burden. You have to only walk past a news stand and look at a periodical, where some fashionista with a 6 pack, lots of money and Photoshop is flaunting her stuff. Wait a minute though, we aren’t saying if you got it don’t flaunt it. You do you, what we are saying is that society has standards and expectations of beauty that are the norm. Someone that becomes an outlier, whether you are obese, too tall, too short, too thin even, becomes a deviant to that norm. In the beauty in-group, you may now find yourself in an out-group. The emotional effects of which can be devastating. Often we tend to neglect our emotions. Too tired are we in the thoroughfare of life, that sometimes we take a back seat to our feelings. As we’ve discussed before: Obesity effects can range from social and general health ones. They in and of themselves may cause havoc on a person’s emotional psyche. Alternatively the internalization of obesity may stem from an eating, disorder, physical or sexual abuse and even neglect. This emotional overload can take an toll on someone, pushing them to coping mechanisms which would not boost or support the body, radical and risky surgical procedures (although in some cases they may be necessary), or suicide. Yes obesity can lead to suicide. Several studies have shown a positive correlation between suicidal thoughts and obese teenagers. Children! This is largely why obesity should be looked at as a disease, a disease that could spread. Taking a holistic approach at the primary facets of healing is the only real way to combat this disease. Obesity is called Medarog in Ayurveda. It is caused primarily by the irritation and aggravation of the Kapha dosha. Responsible primarily for the governing of healthy fluids. When irritated it cannot do this effectively thus leading to obesity. Treatment in Ayurveda revolves around the premise of creating balance and harmony in the body. For obesity, the irritated Kapha dosha needs to be put at ease or pacified. 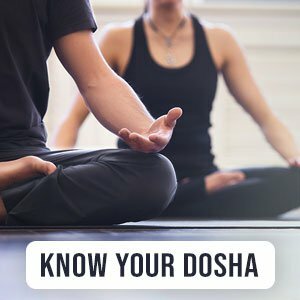 The below recommendations work on balancing your doshas. Ditch the starch carbs like potato and polished rice, use whole grain carbs instead! Brown rice, whole wheat pasta, etc. Introduce bitter veggies like bitter gourd, and your overall intake of fruits and veg. Don’t over do it on nuts, and fruit. Green Tea. Drink it. Why? It’s good for you, and studies have shown it’s thermogenic fat burning properties. It will jump stump your metabolism. Another herbal remedy that soothes your insides is mixing a tbs of honey with some lime juice in warm water. Have 2- 3 times a day. For more information check this out.